Riot Games kick off Snowdown with Poro tossing action! Snowdown is here! The festive event for League of Legends kicked off yesterday and will run through till the 6th of January. This means that the new game mode has finally been detailed. 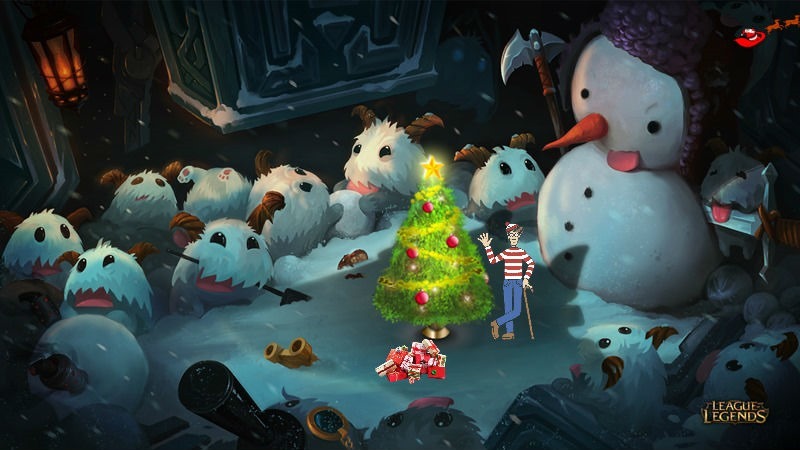 It’s packed with snow, fun, and of course, a ton of adorable Poros! Tired of hiding in the brush, the poros are itching to join the fray! In Legend of the Poro King, you’ll notice two poro friends following you into the fight. Each grants a summoner spell exclusive to Legend of the Poro King. They’re also the key to summoning the resplendently grandiloquent Poro King, a super (royal) minion that heals your team, regenerates mana and deals AoE damage while lumbering across the bridge to punish enemy towers. Early research points to the King’s moustache as the source of his power. THEY’RE ALL SO FREAKING FLUFFY AND CUTE! Here are the new sub-abilities that come with the game mode. Cast Poro Toss once and sling your smaller poro across the Abyss. The range is way, way longer than you expect. And don’t worry, the poros love a good toss. After landing a hit, trigger Poro Toss again to Poro Dash, flying to your poro’s target. It’s like Lee Sin’s Q, but more endearing. Finally, when your team lands ten Poro Tosses, you summon the Poro King. When the Poro King is on the scene and your team, activate To the King! to poro-fy yourself and rocket to your liege. It’s like Lee Sin’s Safeguard, but more endearing. Or you know, you could just buy the others that are on offer. Be sure to check out the official page, or update your League of Legends and jump into the action right now! All I can say is that I’m loving all the Porra Poro action LoL is getting this December. What do you think? Will you be partaking in the fluffy critter-throwing shenanigans?